Android Updated With Google Calendar. Having periodical updates to an app is essential in ensuring that said app remains ahead of the competition, or at least on par, and Google has done exactly that by updating the Google Calendar for Android app yesterday. The latest update to the Google Calendar for Android app will fix a bunch of niggling bugs, not to mention offer new features such as synchronized notification dismissals across all of your Android devices. It is all good timing on Google’s behalf, as they also rolled out Office for Android just yesterday. 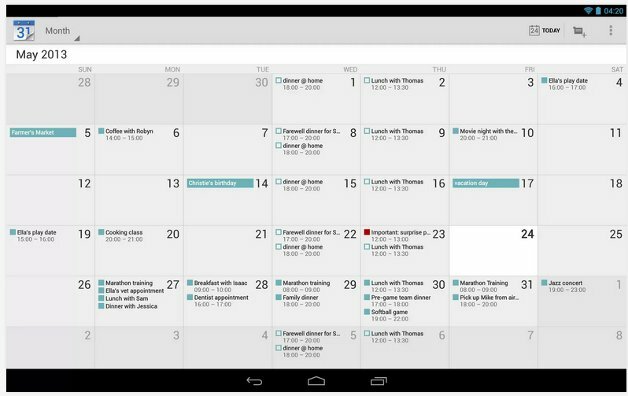 With this latest version of Google Calendar for Android, life gets a whole lot simpler, never mind that it is complex enough as it is that you need an electronic calendar to keep track of things. For instance, you will now be able to enjoy notification synchronization between Android devices, which would go a great length in saving not only time but effort in getting rid of multiple alerts whenever you move from an Android-powered tablet to a smartphone, and back. It might not sound like much, but for those who depend greatly on Google Calendar to remind them of things to do, a bucket list, as well as daily appointments, it is a major relief and one less thing to fiddle with on your Android device. Other improvements in the latest update of Google Calendar for Android would comprise of bug fixes, which means you can kiss goodbye to your device crashing when choosing colors for Exchange accounts. 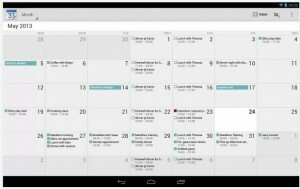 Do bear in mind that Google Calendar for Android has some known issues with select HTC devices, where day and week views might not function as intended, while notes and pictures may be removed from all calendar events, although it will still remain in HTC’s Notes app, among others.